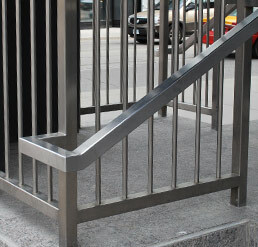 Advanced Stainless will design a custom piece to meet your needs, or work from your existing plans. …..your guys are exactly what we hoped you would be when we decided to bring you in…. Our team is trained to deliver advanced solutions in stainless steel. That’s why we chose the name Advanced Stainless. Our welders, pipefitters, designers and maintenance crew are craftsmen who are passionate to deliver excellence. Our service is flexible to your situation. We are able to build at your site, providing the team to complete the job on time and on budget. We are also able to build the components and products in our factory. 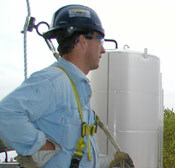 We ensure an environment of safety, sanitation and security whether we work at your site our ours. More than that, we are craftsmen who imagine and innovate. Stainless steel has multiple applications. Our skill and experience in design and custom development are extremely important to crafts products that meet a wide range of needs across several industry sectors. Advanced Stainless will provide the components you need process, transport or store your product in a hygienic and safe environment. Each custom piece is designed to meet your specific needs. We are also well equipped to work from your existing plans. Our passion for fit and finish drives the quality standards for all our products. We design in Solidworks and Autocad and cut and shape using CNC machines. We use the most recent technological advances to weld and polish components. We are proud of our commitment to excellence. In addition to providing custom components, we also carry maintains a stock of high quality parts and plant accessories in order to respond to your maintenance and repair requirements. Please contact us with any specific needs.